The excitement for the all-new Ford Ranger has hit its apex here at Kentwood Ford! Now available at our north Edmonton dealership, you can purchase or finance the newly-revived compact pickup for all your outdoor adventures. After its eight-year production hiatus, does the Ford Ranger still hold up compared to its competition? We’re about to find out. 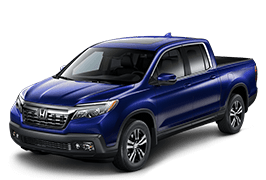 Take a look at how it compares to the Honda Ridgeline! Given the revolutionary technology behinds Ford’s EcoBoost® engines, it’s no surprise the Ford Ranger comes out as the better-performing truck. Compared to the Ridgeline’s 3.5L V6 engine, the Ranger’s 2.3L equivalent offers nearly identical performance, and then some! With similar horsepower, better torque, and even higher towing and payload capacities, the Ranger doesn’t sell itself short! Despite the Ranger’s excellent performance power, it still manages to maintain a superior fuel consumption rate of 11.8L/100km in the city, 9.8L on the highway, and 10.9L combined. How is this possible? 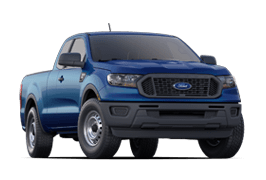 Like with most Ford models, it’s the advanced engineering that goes into EcoBoost® engines which helps the Ranger produce more power, while consuming the least amount of gas as possible. One of the best parts about the new Ford Ranger is that you get a better performing pickup truck, for less! Compared to the Honda Ridgeline, the Lariat Ranger is still $1,000 cheaper and you get more for your dollars. On top of everything listed above, the Ranger also has a superior 4×4 drive and a higher 10-speed automatic transmission, making it an excellent choice for your outdoor adventures. Visit Kentwood Ford to test drive the Ranger!